The “COORDINATES” collection is a carefully created selection of work that reflects the creative minds behind them. In relation to the act of chasing, following, or trying to obtain a goal, we find ourselves in a creative mindset to get there. Our design team has persisted in designing this collection to capture not only a visual aspect but also a performance fit for all shapes and sizes. 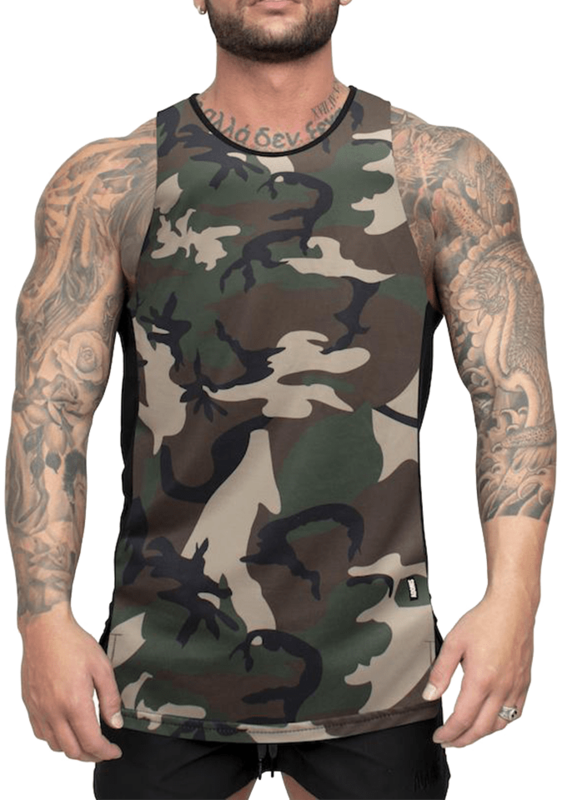 Introducing the Men’s Camo Gym Singlet called the Coordinates Tank By Adonis Gear. 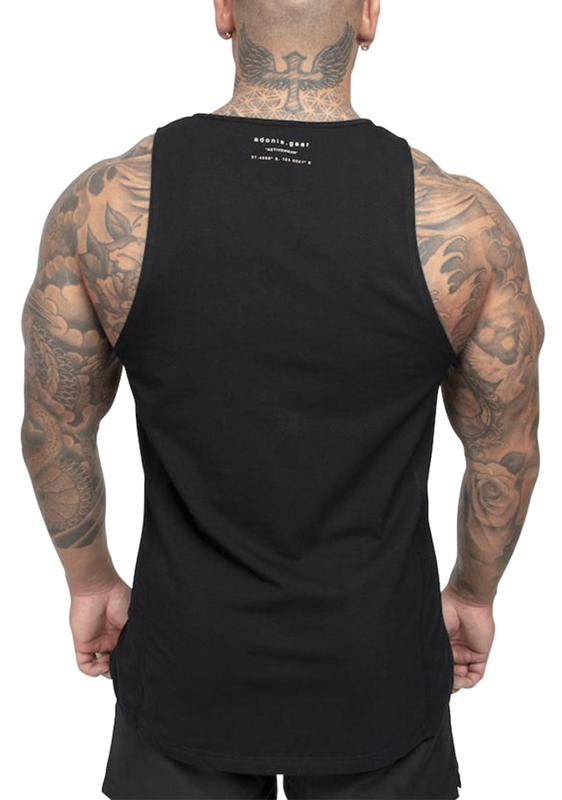 This is a comfortable and fitted Men’s black singlet by Adonis Gear and has the logo on the neck.